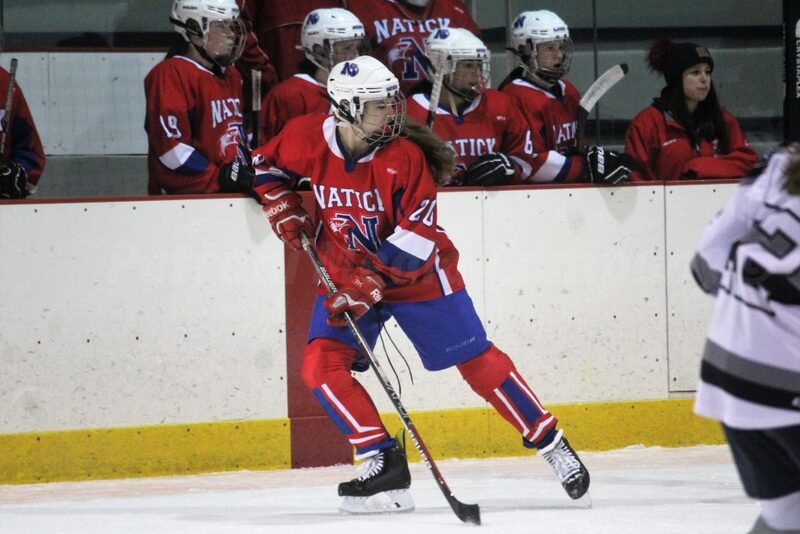 NATICK – The Natick High girls ice hockey team defeated the Framingham Flyers 4-1 at Chase Arena on Saturday night. 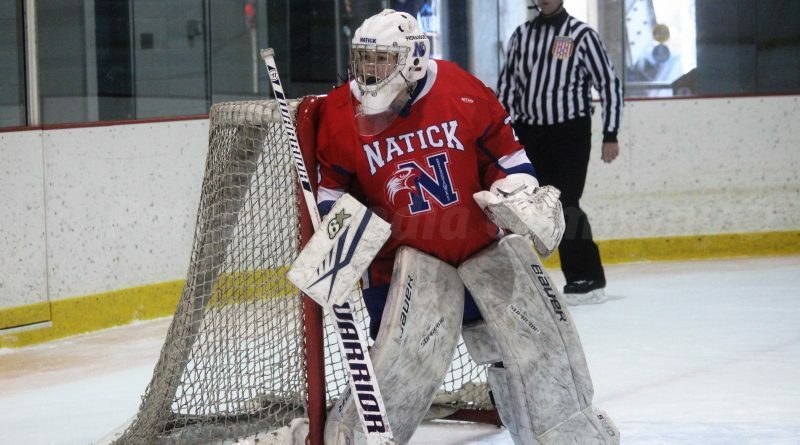 The seniors on the Natick team were honored at that game. 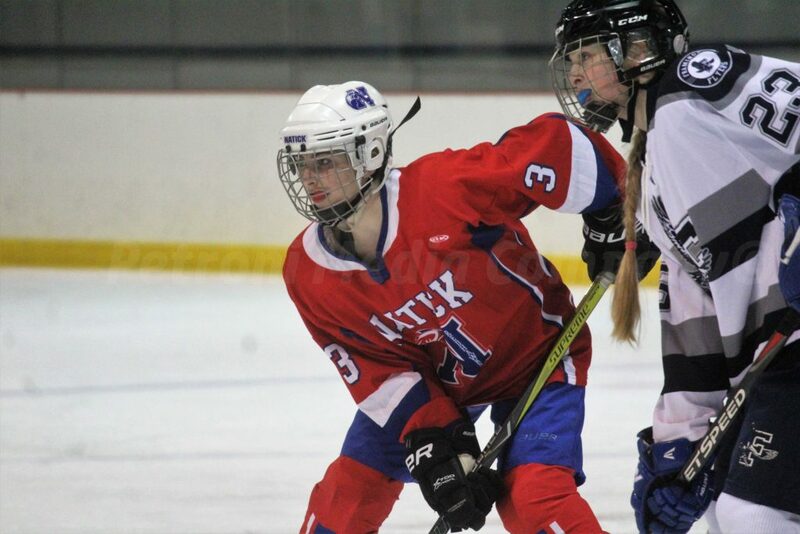 The Red Hawks are just one point away from post-season play. 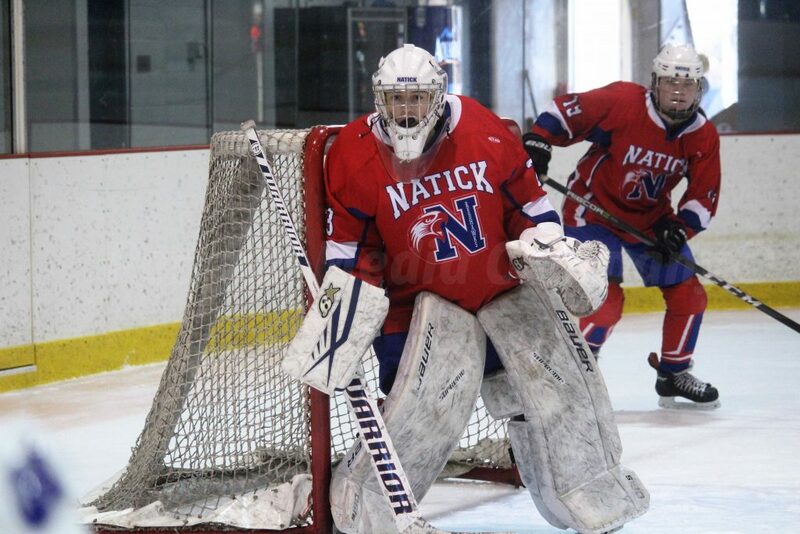 Natick is now 8-7-2 overall and 5-1-1 in the Bay State Conference. 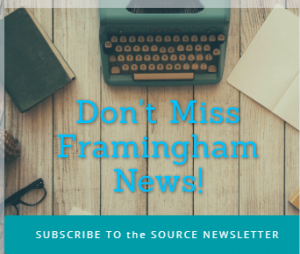 Tess Lawson scored the lone goal for Framingham. 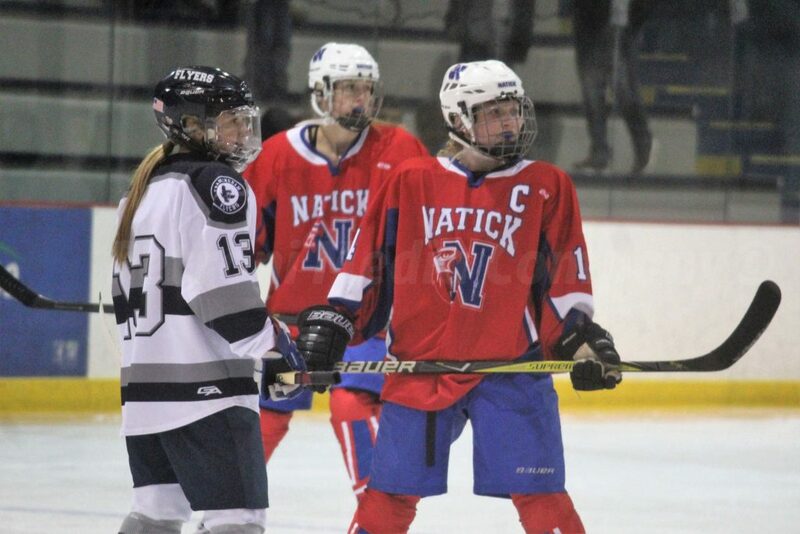 Junior Jacqueline Poulack scored two goals in the win for Natick. 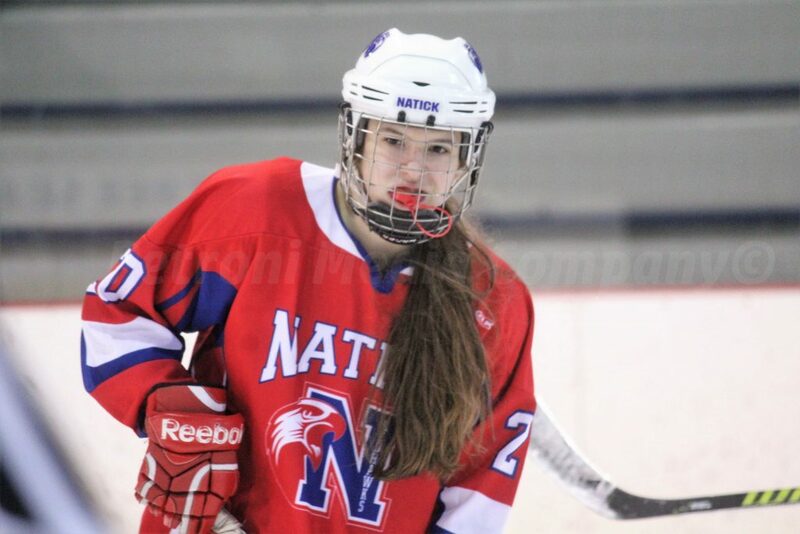 Molly Burnes and Colleen Quirk scored the other Red Hawk goals. 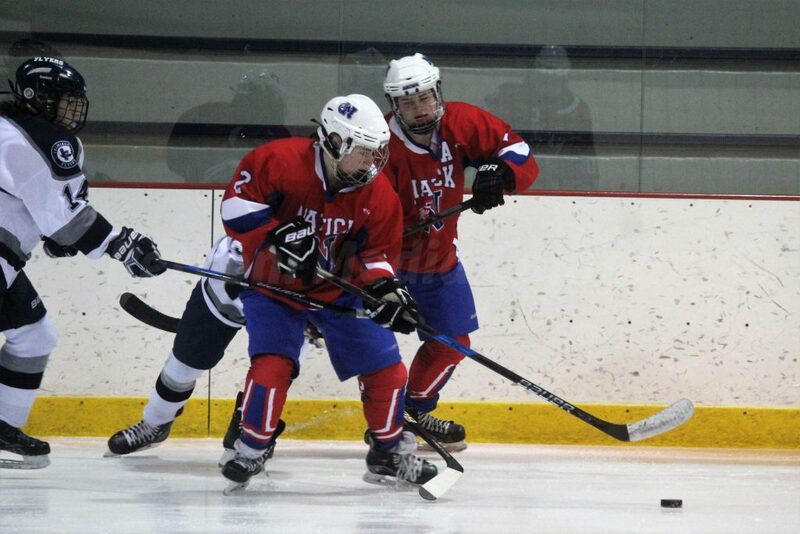 Photos from when the two teams met in January at Loring Arena.